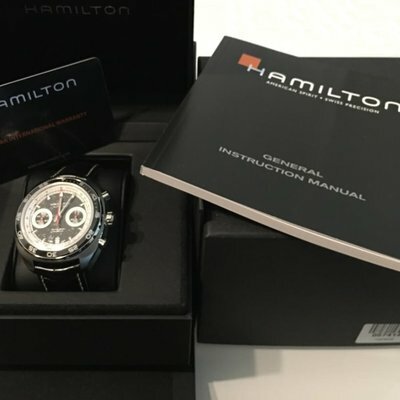 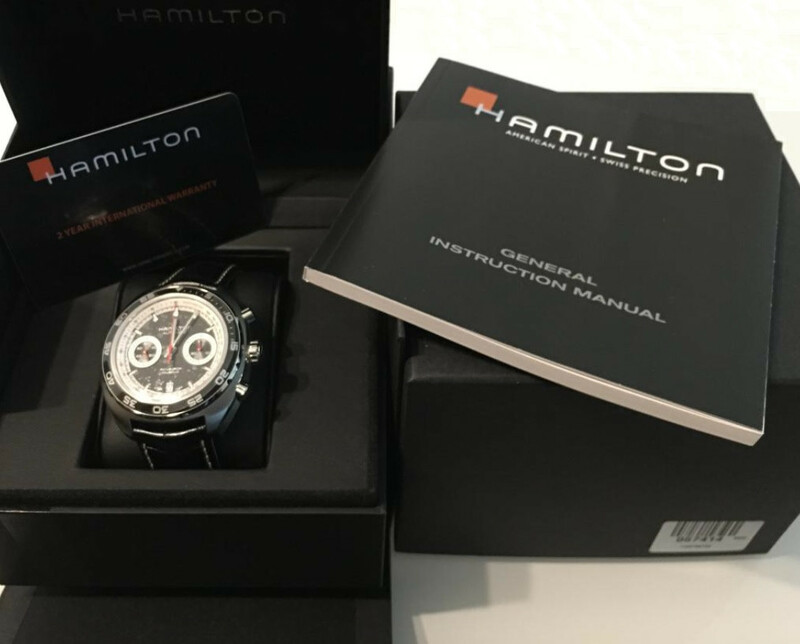 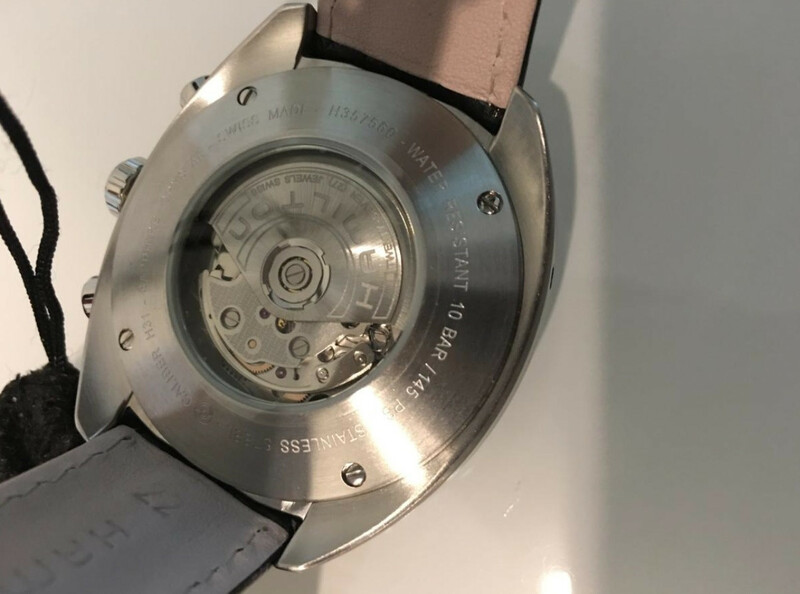 This brand new black dial Hamilton Pan Europ Chronograph watch with original box, accessories, instruction manual, and blank warranty card is rare to find. 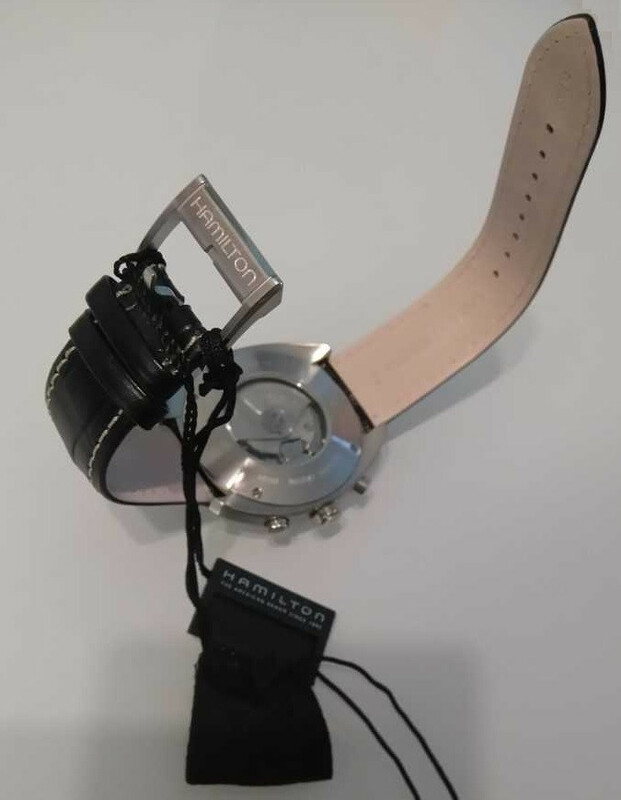 This beautiful, authentic watch with original genuine leather strap is never worn . 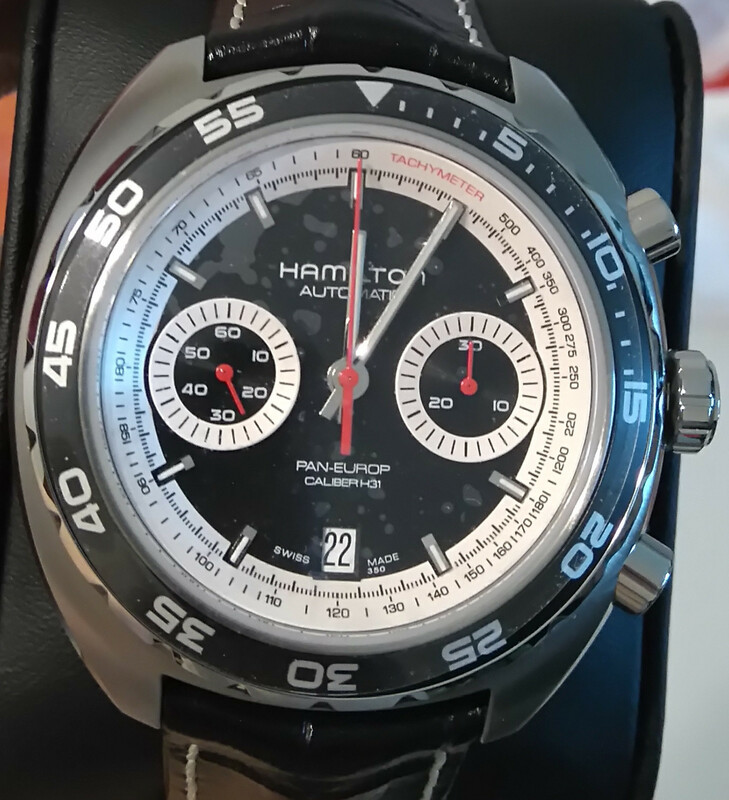 Protection plastic sheet on front crystal. 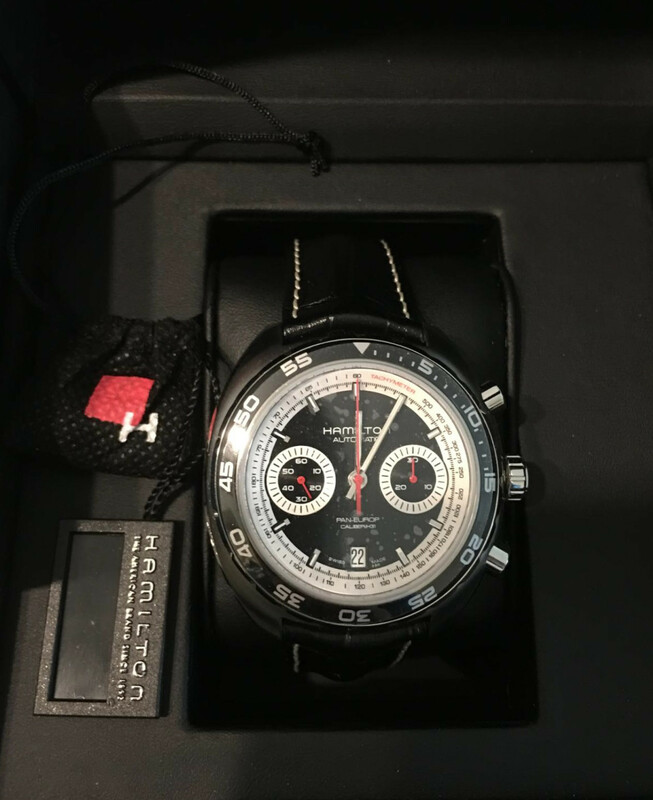 List price was USD 1,945.